An American suspected of making a prank call that led to a fatal shooting has been charged with manslaughter. Tyler Barriss, of Los Angeles, is alleged to have called police in Kansas falsely claiming he was armed and had taken hostages at a home in Wichita. Armed police responded and shot dead the home's unarmed resident, Andrew Finch, while investigating. Mr Barriss is thought to have made the prank call following a row between two gamers playing Call of Duty online. 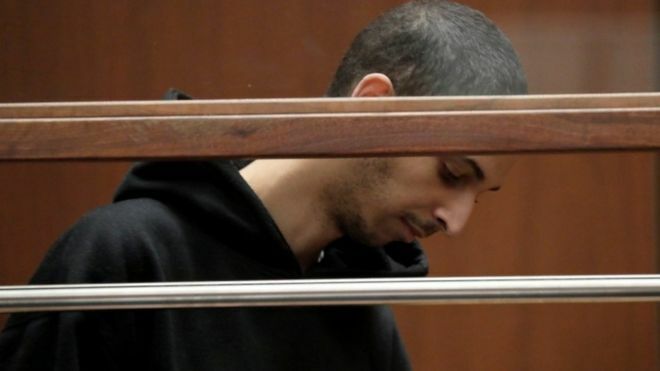 US police said the call was an act of "swatting", where a person makes a false report to send police to another person's home or poses as another person to send police to a fake address. Mr Barriss is alleged to have been asked by one Call of Duty player to "swat" the other. However, when asked for an address the gamer passed on details for Mr Finch's home, which was unconnected to either of the gamers who had fallen out. Police are reportedly still investigating the identities of the two CoD gamers believed to have been involved. Charges levelled at Mr Barriss during the hearing include involuntary manslaughter, giving a false alarm and interference with law enforcement. If convicted, Mr Barriss could face up to 11 years in jail. In an interview with a local news station in Kansas, Mr Barriss said he understood the "magnitude" of what had happened and felt "remorse". "It hasn't just affected my life, it's affected someone's family too," he told the KWCH station. District Attorney Marc Bennett, in Kansas, said he was still investigating the conduct of the officer who had shot Mr Finch.